Welcome to our complete guide to the Havanese. 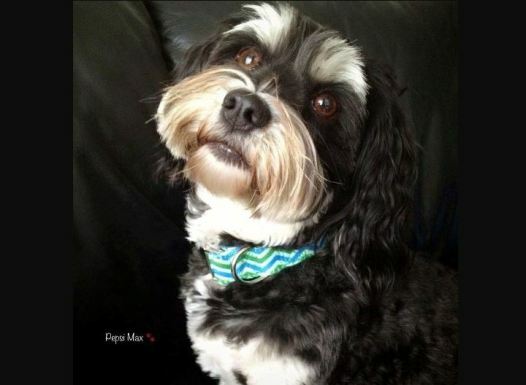 The DogExperts.info website aims to ask questions to breeders, vets and experienced owners to get the answers to your most frequently asked questions about the Havanese breed of dog. We would love to feature your dog and publish any photos or pictures of your Havanese you would like to email us. Are you looking to buy a Havanese – then see our list of Havanese breeders. Anna, can you tell us where you live and how long have you owned a Havanese and where did you buy him from? I live in Melbourne Australia. I have owned Pepsi from when he was 8 weeks old. He is now 5. We picked up Pepsi from an Australian breeder (Rhumderry Havanese). His father was an American import and show champion. 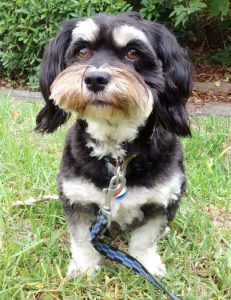 The Havanese are not very well known here in Australia but I am so glad I discovered them via an online search quiz to see what dog would best suit my needs. They are just so fun loving, great companion dogs and love to entertain you. To top it off they don’t shed hair and their coat doesn’t smell like many other dogs. Pepsi’s personality and temperament is well suited to first dog owners like myself. The Havanese are very smart and learn fast if you’re willing to put in a little effort. He was toilet trained in a couple of weeks and he loves performing tricks. He is very sociable and loves children and other dogs. He also loves playing games like digging under blankets first thing in the morning when he wakes up. It’s like he snorts and laughs and it’s such a great way to start my day. I believe the Havanese is quite a popular dog on social media/Internet these days, can you tell us how this started? I created a Facebook page and later Instagram to document most of the many photos I take of him every week. It’s quite a lot of fun to write posts from his perspective. We now also have another page where Pepsi is the CFO (chief fur officer) of a small business I started that makes cooling bandanas for dogs to keep them cool in the summer heat. What are your feeding routines, such as how often and what types of food do you feed your Havanese? Pepsi loves his food and we feed him 3 small meals a day rather than one huge meal. He has a very small breakfast of dry good quality kibble. For lunch he will have a little handful of a home cooked meal that consists of boiled chicken, pumpkin, beans, celery, carrot (I freeze a big batch of this). His dinner is a raw BARF (biologically appropriate raw food) meal of raw kangaroo mince which has crushed bones, eggs and other things. Generally Pepsi is in good health. He did have a little problem when he was about 1 year old and he was doing zoomies in the back yard and injured his leg. He has a luxating patella but luckily it has not been a problem again and he did not need surgery. I made sure he did a few exercises during his recovery to strengthen his leg muscles. Things like walking up the hills and lots of sit commands…kind of like us humans doing squats and strengthening our legs. He also gets a little glucosamine and green lipped mussel powder on his dinner. Obviously grooming is another major aspect of owning a Havanese. Can you offer any tips, advice and popular accessories for your Havanese? We take Pepsi to his groomer every 8 weeks for a puppy cut. I find it easier to manage and less brushing is required compared to having a long coat. I love our comb with rotating teeth. It’s great for untangling any knots. I also like to use a dog hair conditioner to help avoid knots, especially in his tail. Can you offer potential new owners any useful advice or tips? What type of owners buy a Havanese? What in your opinion are the best things about the Havanese breed? Why do you think the Havanese is special? 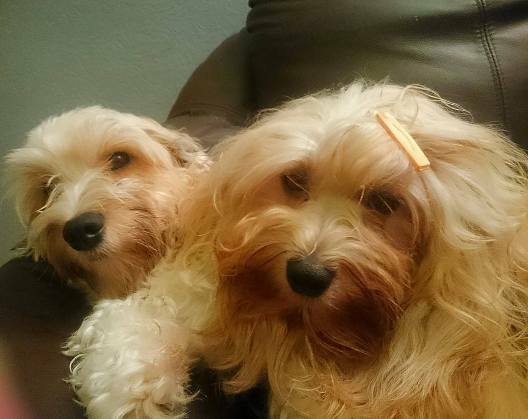 What are your favourite things about the Havanese? Are you glad you choose to buy a Havanese and not another breed? What advice might you give to people thinking about whether they should buy a Havanese over other breeds? What are the history and origins of the Havanese? What are the pros/cons of the Havanese breed? What can a new owner expect in terms of differences between the Havanese and other breeds? What colors of Havanese are most popular? How would you describe the Havanese temperament? “If bred correctly with two dogs that have no behavioural issues, then your pup should start its life free of many issues. 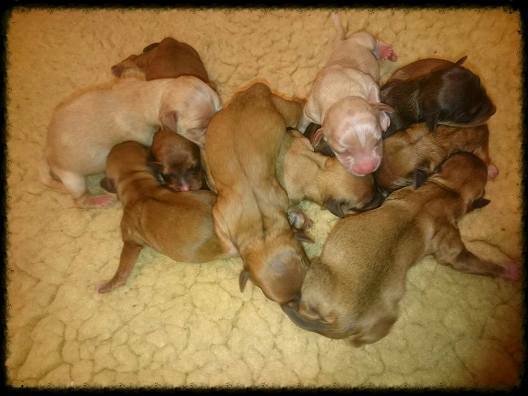 A good breeder will use many forms of socialisation during your pups first few weeks. When visiting have an open mind as there is no difference between genders , both are loving and both will scent in a new home equally. Allow the pup to pick you. Many will nip bite and mouth during teething times but with advice from your breeder then you will get through this easily.All Havanese if bred well are absolute family dogs and will want to be part of your family forever.We at versailles kennels give advice on our website www.versailleskennels.com on what to expect and how to combat issues when bring a new pup home.We also operate www.eurobichons.com an International site for all owners to learn about their dogs health and seek advice 24 hours a day,” says Barbara. What type of typical personality does the Havanese have? Is it possible to describe a fairly typical Havanese? What is the breed standard/description for the Havanese? Are there any downsides to owning a Havanese that prospective owners should be aware of? Is the Havanese breed of dog suitable for first-time dog owners? Some breeds can be described as greedy and prone to weight issues, would this apply to the Havanese? Is the Havanese a breed suitable for a person or family that are out at work all day? Some owners seek a breed suitable for barking and offering a guard dog role – how does the Havanese match up to that role? Are there myths about the Havanese – in other words do new potential owners come to you with misconceptions about this breed? What types of questions do you get once owners get their Havanese home? What is the typical temperament of a Havanese, so people know what to expect from their new pet? When fully grown how much on average does a Havanese weigh? When the Havanese is full grown in size what is the maximum height and length expected to be? Is the Havanese ever crossed or mixed with other breeds of dog? Does the Havanese smell or drool a lot? Do you have a Havanese growth chart? What breed group does the Havanese come under? 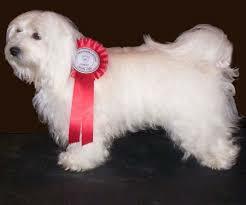 Are there some types of people that you can suggest the Havanese is not suitable for, perhaps families? How is the Havanese with children? Do you think the Havanese is suitable for families with young children? How does the Havanese get along with other (existing) pets and do you have any tips or advice for new Havanese owners in terms of successful integration? Is it better to buy one Havanese or two? Would the Havanese be suitable as a guard dog? Can I leave my Havanese during the day while I go to work? What is the expected average lifespan of the Havanese? In terms of life expectancy, how long on average would the Havanese breed live to? How to handle the Havanese puppy to start off – how much food, what type, how often? Do owners need to consider supplements for their Havanese? How much did your Havanese cost to buy? Can you offer advice to people looking to buy a Havanese and how much should they spend? What advice would you offer new Havanese owners? What types of people are buying the Havanese and why? Where can I buy Havanese rescue dogs or find a Havanese for adoption? Please note that buying or searching for a ‘cheap’ Havanese can be false economy as they may have health issues that cost you far more in the long-term – always buy from a good and responsible breeder! 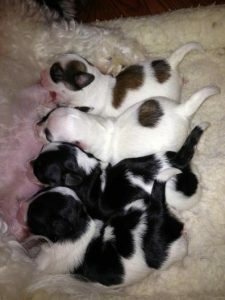 How much do Havanese puppies for sale cost on average? How would you describe the Havanese puppy to potential new owners? What types of owners are best suited to owning a Havanese? What inspired you to become a breeder and did you start with the Havanese? As a Havanese breed expert, are there any ‘essential’ tips you would like to share with new owners? How long does it take to housetrain/potty train a Havanese? 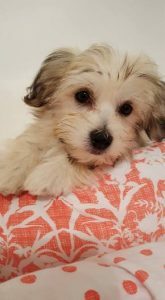 We invite you to email us your Havanese’s pictures, in particular we are looking for photos showing Havanese puppies at 1, 2, 3, 4, 5, 6, 7, 8, 9, 10, 11 and 12 weeks old as well as early pictures such as 1, 2, 3, 4, 5, 6, 7, 8, 9, 10 and 11 months old to a year old. Do they have any nicknames or does the Havanese have popular names? If my Havanese is pregnant what might the litter size be? Could the Havanese be dangerous around young children? How do you prevent a Havanese biting? How do you prevent a Havanese chewing? How do you stop a Havanese jumping up? Does the Havanese have an issue with excessive digging? Why does my Havanese keep growling and barking? Is there a reason my Havanese dog is often scratching excessively? 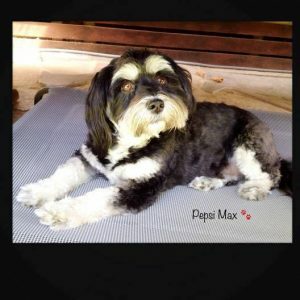 In comparison perhaps to other breeds what can you say about the Havanese and their exercise needs and do you have any tips or advice for new Havanese owners? As a breeder of the Havanese, do you prefer a collar or harness? As an expert of the Havanese breed do you prefer a standard leash or retractable? Can you offer any dog walking tips for Havanese owners? What games and toys can you recommend for the Havanese? How intelligent is the Havanese compared to other dog breeds? Do you have any special grooming routines or tips and advice for new Havanese owners? What accessories are required to be purchased for grooming a Havanese? How much do Havanese shed and how do I maintain their hair and how often? Is the Havanese a hypoallergenic breed? Any advice/tips you can give concerning cleaning and bathing your Havanese? “They do not require constant weekly bathing. This can destroy a coat. They require daily brushing and a once a week quality comb through to catch those hairs. They shouldn’t be exposed to excessive perfumed products especially under 12 months of age as this will invariably encourage allergies. If you want your Havanese to smell of Chanel then buy a doll, a dog’s coat contains sebum, a naturally production of conditioner, brushing encourages its production. This keeps a coat waterproof, cool and oiled. Some will get tatty, if your dog does then do not spend hours attempting to get each tat out, this HURTS I would in this case advise shaving off, it grows back. BUT, your dog will lose some confidence in initial few days, then bounce back once it realises those tats do not hurt or itch anymore. Shaving does not structurally alter the coat,” added Barbara Stapleton of Versailles Kennels. Can you offer new Havanese owners advice concerning fleas and maybe products you use in treatment and prevention? What advice and tips could you offer to owners who might wish to follow your path in showing the Havanese? What started your interest in showing the Havanese? If a new owner perhaps wanted to meet other owners or find out more – perhaps they have an interest in joining a local club or maybe they wonder how they can start showing their Havanese – where would they begin? How would an owner know they have a show-quality Havanese and how would they start off? What inspired you to become a breeder and did you start with Havaneses? What official organisations are there for the new Havanese owner and what benefits or services do they provide? In buying a Havanese, can you offer advice and tips to new owners? How did you progress to becoming a breeder and why focus on breeding the Havanese out of all the breeds you could have chosen? What do you think makes the Havanese special to you? In comparison perhaps to other breeds what is it like to train a Havanese and do you have any tips or advice for new Havanese owners? How should new owners approach bringing a new Havanese home, any advice and tips you can give? Should I allow my Havanese to sleep in my bed or elsewhere in the house? 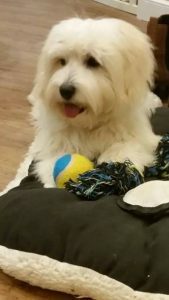 Should my Havanese sleep in a kennel or crate? Health is always a major concern when buying a dog, do you have any advice for new Havanese owners to be aware of in particular? What is the recommended schedule for vaccinations for your Havanese? What type of health issues can a Havanese have and how do you deal with preventing these? Why does my Havanese have diarrhea? Why is my Havanese vomiting and do I go to the vets? When should I take my Havanese for vaccinations and which ones do they need and how often? How often will my Havanese be in heat? Should I consider getting my Havanese spayed or neutered and when and how much does this cost and what are the benefits? My Havanese is limping, what should I do and should I go to a veterinarian surgeon? Why is my Havanese not eating? How much does it cost to insure my Havanese? What healthcare issues or diseases might be excluded from companies that provide Havanese dog health insurance? What age would you class as an ‘older or senior’ Havanese? What changes in food and diet would you suggest making for an older Havanese? Do you feed any supplements to an older Havanese – or anything else which helps them as they age? Are there any health issues particular to a senior Havanese dog? Do you have any advice for owners of an older/senior Havanese or tips you can pass on? See more of the Havanese in action through the video below.